Customers have already linked 80 million movies with the new digital locker. During CES, Fox Innovation Lab hosted an event focused on tech it's pushing this year, like HDR10+, but the most important parts were a slick VR experience tied to Wes Anderson's Isle of Dogs and discussion of the recently launched Movies Anywhere. While VR experiences built around movies are hardly new, this one took an unusual tack. 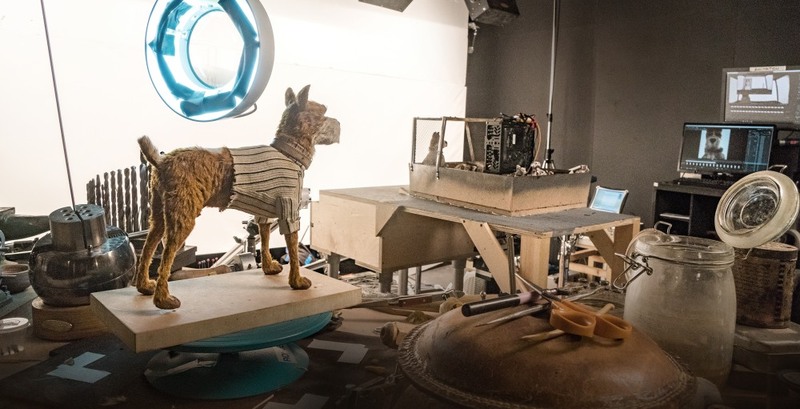 Bryan Cranston, Scarlett Johansson and Jeff Goldblum provided voices for the dogs they play in the movie, talking as themselves or in character while I viewed them in VR, sitting on set pieces in the stop-motion animation studio as animators walked around in the background. The combination of dogs talking in "real time" before you and animators whisking by accelerated behind creates a surreal effect that also highlights all of the work that goes into making a movie like this. The full experience is going to be released later this month, tied to the Sundance Film Festival, initially for Google Daydream headsets. The other part of the event was a chance to talk to some of the people behind Movies Anywhere as we checked in on the digital locker setup. After some initial waiting, I was able to successfully link all of my accounts to the service, and even use it to search out and buy movies very easily. According to general manager Karin Gilford, people have already moved around 80 million movies onto the new platform, which unlocks titles across iTunes, Amazon Video, Vudu and Google Play, and have streamed more than 3 million hours. Something we can expect to see more of is tie-ins between movies that are just arriving in theaters, like Fox's exclusive featurette pushed with The Greatest Showman. That's because they've found that people who are tied in with the service see more movies in theaters than the average person. Other than potential deals with new partners, the push in 2018 will involve improving the experience on TV screens, new features and making it a better companion for film fans.